Vittoria Crespi Morbio, the writer of an exceptional collection of books produced by the Amici della Scala, has written monographs on important artists who have collaborated with Teatro alla Scala – some celebrated, some largely forgotten. These little gems are precious in the content but lacking in their scale. However, luckily, the Friends of La Scala sometimes bring out glorious coffee-table volumes, and this season there are two. 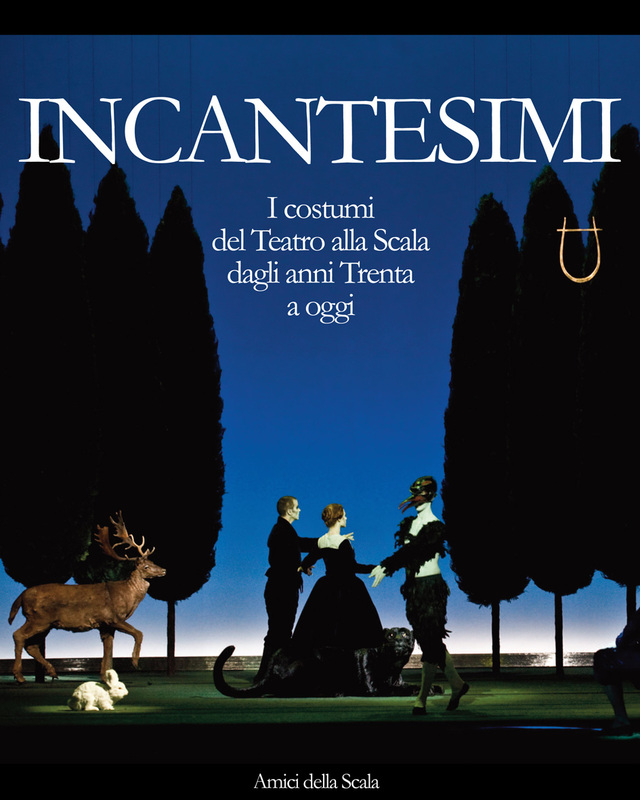 Incantesimi (Incantations), celebrates Amici della Scala’s 40th birthday and was tied in with an exhibition at Milan’s Palazzo Reale. The volume features costumes seen at La Scala from the 1930s to today, but it’s no picture book with loving closeups of the stitching – though there is that too – but each costume is put in context. Lila De Nobili’s celebrated 1963 production of Aida for Franco Zeffirelli, for example, is represented by Amneris’s costume designed for Fiorenza Cossotto. The book shows some of De Nobili’s gloriously pictorial designs, the design for the costume itself, detailed photos of the costume and its costume jewellery as well as photos of Cossotto wearing the costume both on and off stage. 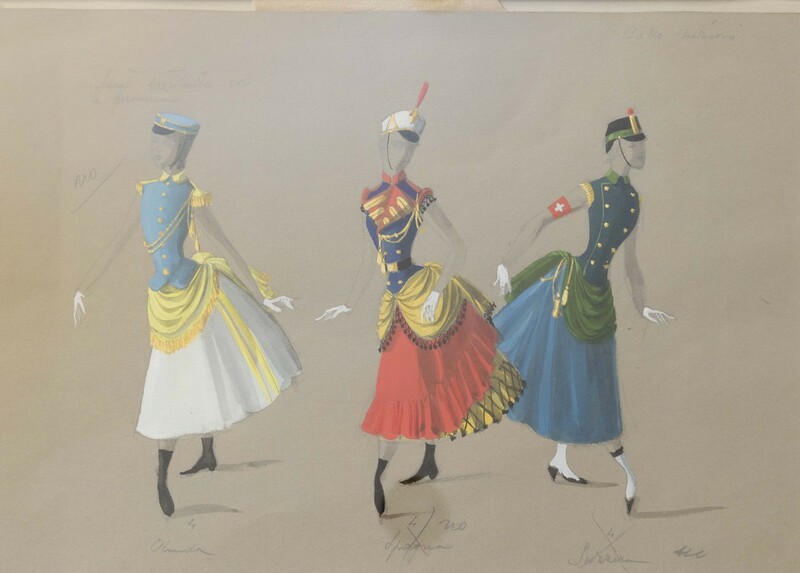 There is Marilyn Horne’s delightfully eccentric costume by Pier Luigi Pizzi for the 1969 Oedipus Rex; Nicholas Georgiadis’s costume for Rudolf Nureyev for the 1969 Nutcracker, there are costumes from Giorgio Strehler’s production of Die Entführung aus dem Serail designed by Luciano Damiani, Karl Lagerfeld’s designs for Berlioz’s Les Troyens, Gianni Versace’s costume which was worn by both Monserrat Caballé and Helga Dernesch in Robert Wilson’s Salome, and Carla Fracci’s costume for Heinz Spoerli’s La fille mal gardée designed by Luisa Spinatelli. 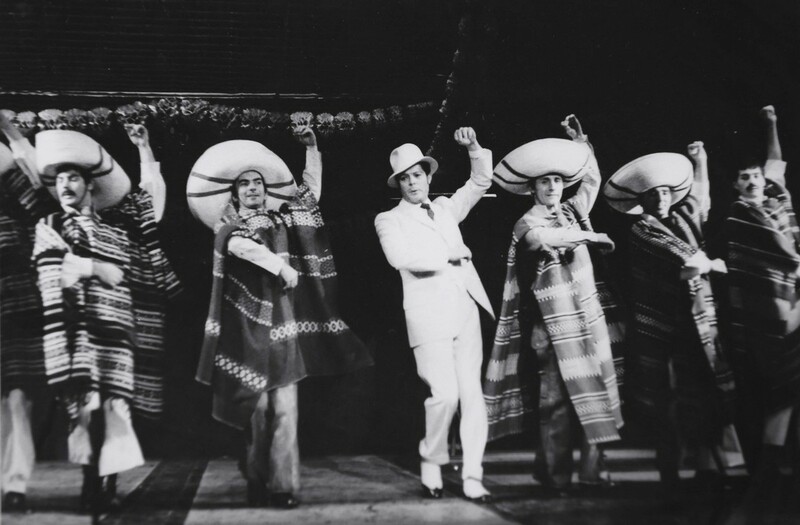 There are stage costumes designed by Oscar-winners Oscar Piero Tosi, Gabriella Pescucci and Franca Squarciapino, and those worn by Maria Callas, Renata Tebaldi, and Boris Christoff. The book shines light on the history of costume and illustrates the evolution of taste and style, the inventiveness of juxtapositions of materials, cuts and fabrics through the creativity of costume designers and the skill of the La Scala costumiers. 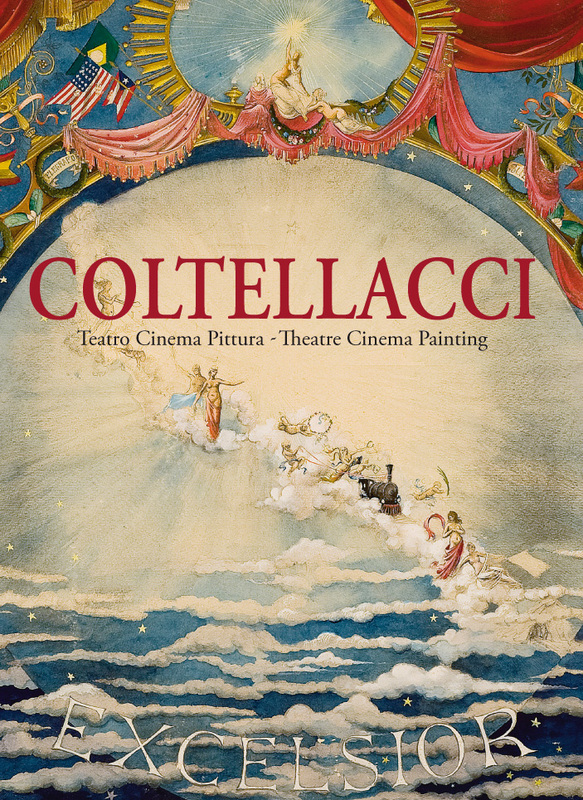 The second large volume looks at the theatre and cinema design and artwork of Giulio Coltellacci (1916-1983). His career began in graphics, fashion, furnishings and painting. In Paris in the 1950s he drew many covers for Vogue magazine; however in the late forties his career took a change of course when he began designing scenery for director Giorgio Strehler at Milan’s legendary Piccolo Teatro. During a career lasting over forty years he worked in musical theatre, designed costumes for movie stars, created sets for cinema and theatre, for ballets and operas, he invented stage machinery, and painted stage backdrops. Between 1949 and 1972 he worked as a set designer for La Scala, creating designs for opera and ballets by Tchaikovsky, Donizetti, Giordano, Mascagni, Petrassi, Respighi and Rossini. The conductor with whom he collaborated the most was Gianandrea Gavazzeni. This impression of a polite mask remains unchanged over time: in the photographic portraits of him in his youth, in the enigmatic self-portrait he painted in the 1950s where a hand in a red velvet glove is holding a dagger, up to the last stage of his life when to complete the concealing operation a moustache appears, making him look like an Englishman. The lavishly illustrated book also contains a complete catalogue of his work, year by year, in all genres. Personal favourites are his work on The Two Queens (Anne of a Thousand Days and Elizabeth of England) with Vittorio Gassman and Lilla Brignone; His Sleeping Beauty, danced by Margot Fonteyn in 1959; his work for revues by Garinei and Giovannini and with the queen of camp and extravagant style, Wanda Osiris; his famous Pinocchio costume for the film Totò in Colour; the 1950s film Ulysses with Silvana Mangano and Kirk Douglas; the film Casanova 70 with Virna Lisi and Marcello Mastroianni, as well as the stage musical Ciao, Rudy with Mastroianni on the life of Rudolf Valentino; his stunning ballet costumes for Milan and Rome; his costume for Jane Fonda in Barbarella; his designs for the ballet Excelsior; his costumes for Sophia Loren in Francesco Rosi’s More than a Miracle; Roland Petit’s Le Fantôme de l’Opéra at the Palais Garnier in 1980; and, again with Petit, his Les Contes d’Hoffmann in Monte-Carlo in 1982. He died aged 67 in Rome in June 1983, and is buried in the Cast San Pietro cemetery. They are beautifully done. Well worth the overdraft!